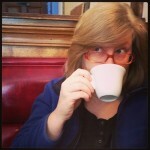 Slightly Altered States theater company is coming to Queens! Last month we got the news of a new theater space opening up in the Dutch Kills section of LIC, Slightly Altered States. And with a name like that we knew we had to learn more, so we interviewed Co-Artistic Directors/Co-Founders Sari Caine and Dave Rigo. 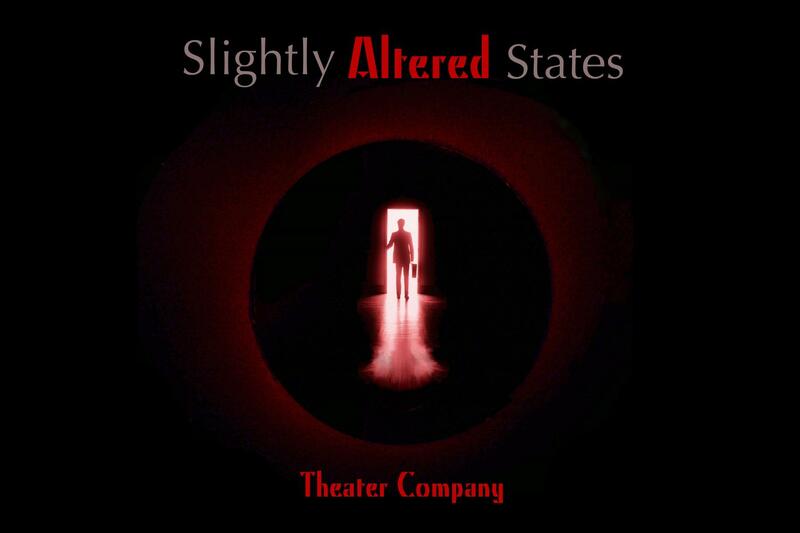 We hope you’ll be as excited about Slightly Altered States as we are. 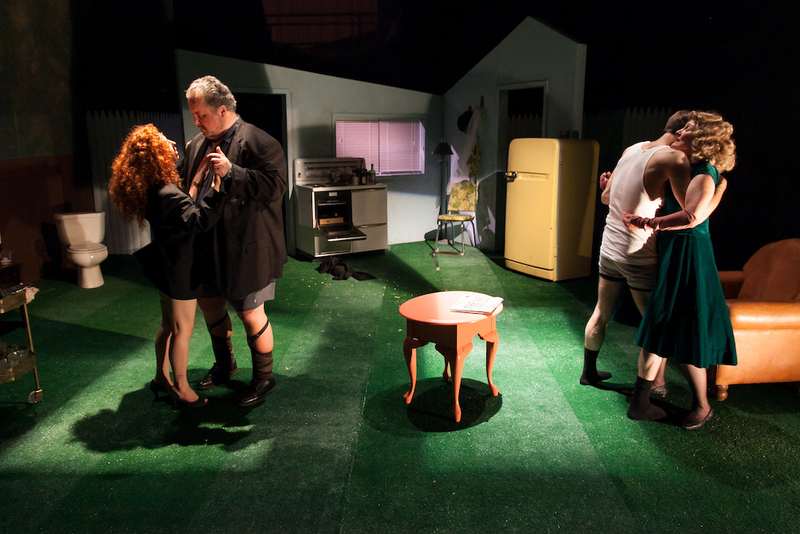 They actually started developing Slightly Altered States six years ago as a fully immersive theater experience—unlike what the founders were seeing in the world of NYC theater at the time. They wanted the experience to start as soon as you enter the space, where the hallways, the pre-show, the walls and sounds around you could all immerse you in the world of the show before it even had begun on stage. They also craved opportunities to grow and be challenged as actors and as a writer, which included leveling up in creative control of the overall production. Slightly Altered States could provide that. The old sushi factory that will be the new home to Slightly Altered States. 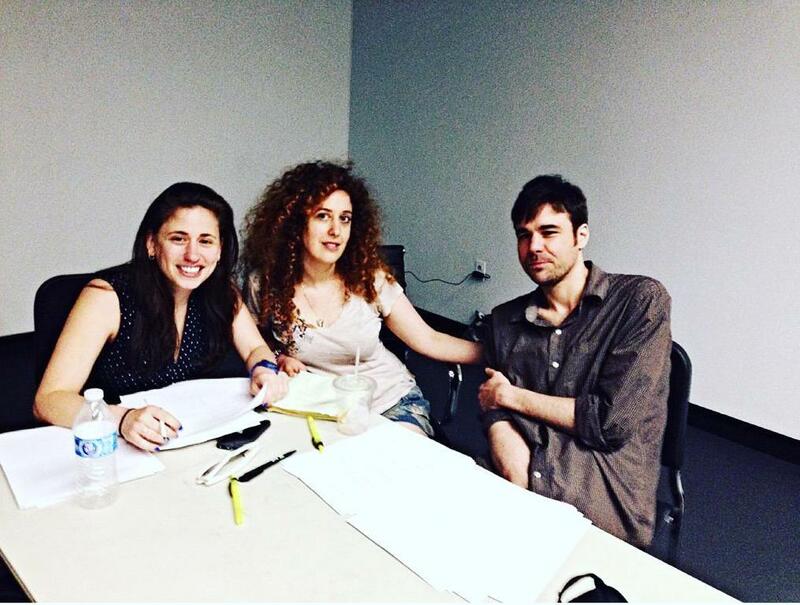 Sari and Dave working on a new play with their company theater director in residence, Sherri Eden Barber. Beginning in May on Thursdays from 10am-1pm they will be opening the space to other writers to come and have silent, phone-less/WiFi-free shared writing space—RSVP to sastheatercompany@gmail.com in order to better accommodate everyone. They would like to grow that time to more days as well. Also in May they’ll offer free Saturday morning chess drop-off lessons from 10:30am-noon on a RSVP basis (sastheatercompany@gmail.com). 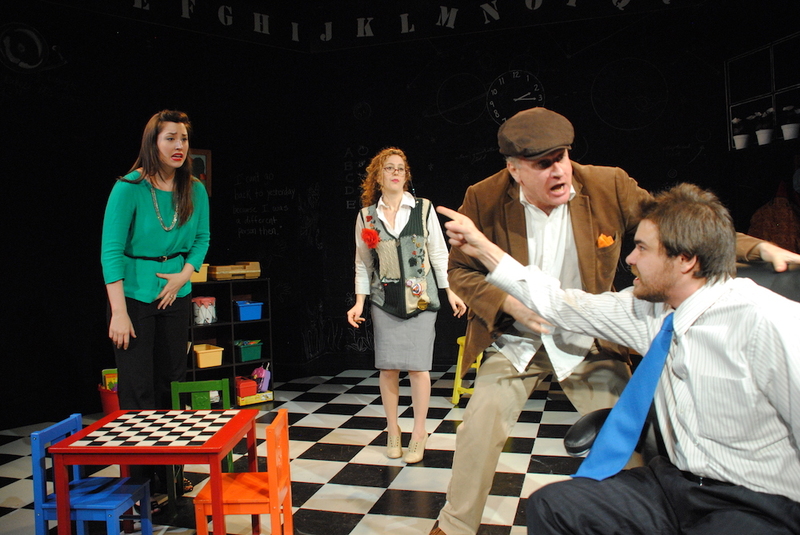 “The Chess Lesson” at IRT. You can check their website to keep up on their plans and activities. They love being part of the local arts community—Queens Council On the Arts has been particularly helpful as they move into their new space and set down roots here in the borough. Look for them this summer at the Kaufman-Astoria Backlot Arts Festival in June with a workshop of Sari’s play, The Wildest Ones. Welcome to Queens, Slightly Altered States! We’re glad you’re here.